American Idol 2011 Final 13 photos © Chris Walter. These photos may not be copied, linked to or published in any form without permission, including on websites. Jennifer Lopez attends Fox's "American Idol" 2011 Finalist Party on March 3, 2011at The Grove in Los Angeles, California. America Idol 2011 Final 13 (clockwise) Lauren Alaina, Haley Reinhart, Jacob Lusk, Pia Toscano, Scotty McCreery, Ashthon Jones, Karen Rodriguez, Stefano Langone, James Durbin, Naima Adedapo, Casey Abrams, Thia Megia, andPaul McDonald, attend Fox's "American Idol" Finalist Party on March 3, 2011at The Grove in Los Angeles, California. Steven Tyler of Aerosmith attends Fox's "American Idol" 2011 Finalist Party on March 3, 2011at The Grove in Los Angeles, California. Ryan Seacrest attends Fox's "American Idol" 2011 Finalist Party on March 3, 2011at The Grove in Los Angeles, California. 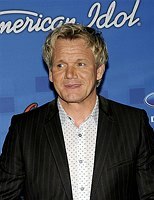 Randy Jackson attends Fox's "American Idol" 2011 Finalist Party on March 3, 2011at The Grove in Los Angeles, California. Ryan Seacrest and Randy Jackson attend Fox's "American Idol" 2011 Finalist Party on March 3, 2011at The Grove in Los Angeles, California. 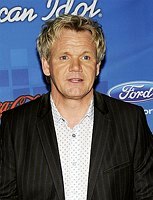 Chef Gordon Ramsay attends Fox's "American Idol" 2011 Finalist Party on March 3, 2011at The Grove in Los Angeles, California. Home Events Artist List TV-Film Contact Archive FAQ Download FAQ Blogs Terms Personal Print FAQ Prints Mobile American Idol 2011 Final 13 archive photos.